Kopa wee! Do I hear you say Kopa Waa! That is the response of an Otondos, but for now, you are a potential Otondo. Otondo is the urban code for a corp member. As a prospective corp member, you should have finished your higher education and you should have been cleared by the University Senate for mobilization which you registered on the NYSC portal. Did you choose Lagos as one of your preferred state and your expectation is very high? Let me introduce you to live in the Lagos NYSC camp pictures, address, and experience on orientation camp. 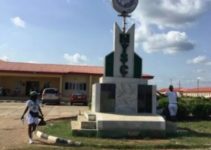 Lagos State NYSC camp is one of the best orientation camps in Nigeria, as this orientation camp is a hot cake among prospective otondos and here most important dignitaries and wealthy children found there home. Lagos State, Center of Excellence is the smallest state by size in the country but is the commercial nerve center of the country and was also the former political capital of the country and is a major business hub for the west Africa economic hub. The state of aquatic splendor is known for his fast pace and street sense that prevails as a newcomer in the state need to be at alert, less S/he becomes a victim of the various nefarious activities around the state. Lagos state was one of the 12 states to be created from the previous region settings of the country on 27 May 1967 by General Aguiyi Ironsi. The state is in the Southwestern region of the country and is presently administered by Mr. Akinwunmi Ambode since 2015. The State is a cosmopolitan state and is a home to all as the State is a microcosm of the country, Nigeria as virtually every ethnic tribe in the country is represented in this state and even foreigners are heavily represented in these states. This state is like the window of the country to the rest of the world. Welcome to Eko as it is popularly known, but as you come to remember to bring with you the following documents; certificate or statement of results, School ID card, call up letter, and for conveniences get enough cash if you are not an heavy travelers to get some basic needs at the mammy market within the camp as you will need a bucket, spoon, flask and other conveniences, and remember you will not be allowed to charge your phones in your hall of residence, so you need to patronize the numerous charging centers at the mammy market. The 3-week experience promises to be hectic, boring initially then fun as you settle down to the life on the camp. The camp is resumed with a tortuous queue of prospective corp members struggling to register before the deadline. For you need to register with the NY SC officials to be allotted a residence hall, identity number, platoon and your kits. Once you register, you proceed to the hall of residence to change into your kits of all white; vest, short, socks, jungle boots and finally your ceremonial cap to complete then you are baptized into the world of the Ajuwaya. The camp life close and start in military style with the sound of the biggle and you are strictly expected to follow the regimental schedules else you fall victims of the heavy-handedness of the soldiers on camp. 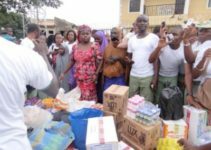 The Camp life is a life of military and paramilitary drills, lectures, skill acquisition and empowerment development programme participation and social life, and there is provision for religious activities too, for the religious folks. Camp starts at 5, when you are meant to converge on the parade ground in your platoon stand for the morning rituals of prayers, camaraderie, and preparation for the day, here also the tasks for the day are assigned and you close it with some drills before you go for your breakfast at the kitchen with option of patronizing the restaurants scattered in the mammy market. The day lectures start at 9a.m and will not break until 2pm with stint SAED participation before the evening drills and sports activities which are usually competition between the platoons, then by evening you are meant to converge in the hall for the social nights, and in Lagos camp, no dull moment as you are sure of receiving one or two major acts as guests on your social nights. The social night is a time to wind down all the day’s tension as the day is surely going to be hectic with you sitting through endless talks and lectures covering a various range of issues, and the military drills. And the Mammy market is also a winding down joints. This is the real-life environment where the lessons inculcated at the camp are expressed after which you are presented with a certificate if you successfully finished your assignment. 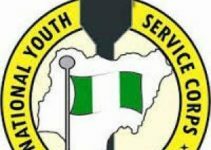 Like the proverbial phoenix, National Youth Service Corps Scheme rose from the ashes of Nigeria civil war ruins to reconcile and reconstruct a devastated Nation and promote cultural integration among the diverse ethnic group of the Nation. The NYSC Scheme created by Decree 24 by the Yakubu Gowon administration on 22 May 1973 as part of his post-war rehabilitation programme to instill discipline, industry, patriotism and chiefly to promote the culture of oneness for the nation’s diversity in the nation’s graduates. The Pre-Orientation is the phase between the Campus and the NYSC scheme. It involves online registration on the NYSC portal called mobilization and final clearance from the institution of graduation. After which you await the call-up letter or posting letter. Posting is usually to states that is alien to the prospective corp member state of residence and institution of graduation. Orientation Camp Phase is a 3 weeks/21 days regimented camp called the Orientation Camp. The camp is localized in the 36 states of Nigeria and the federal capital. The Lagos State permanent Orientation Camp is located along Iyana Ipaja Road in Alimosho Local Government. Getting to this camp is as easy as the popular Iyana Ipaja garage is a major transit hub for traveling to all part of the country. From Iyana Ipaja garage, there are buses and taxis ready to convey you to the camp as a token. This camp is a 30 minutes’ drive from the Local Airport in Ikeja but is on a busy axis so there is bound to be traffic on this road. The life of the Otondos is fun and so many lessons are learned and of the most is you make new friends with wider coverage which broaden your cultural scope of the Nation. As you Obey the Clarion Call, I say Kopa Wee!